I had forgotten just how beautiful this Church is. The parish has its own website although the English section has not been done yet - you will have to read the French or look at the pictures. 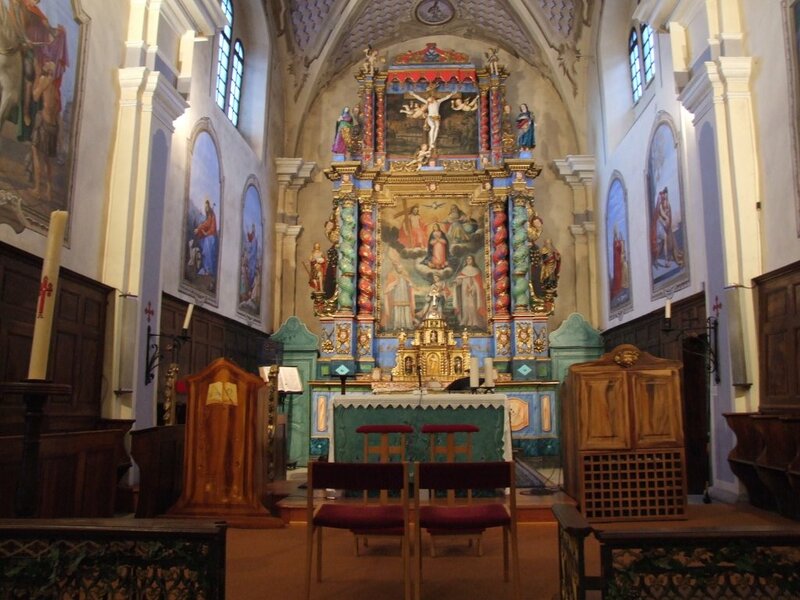 This area of France was re-evangelised by St Francis de Sales. 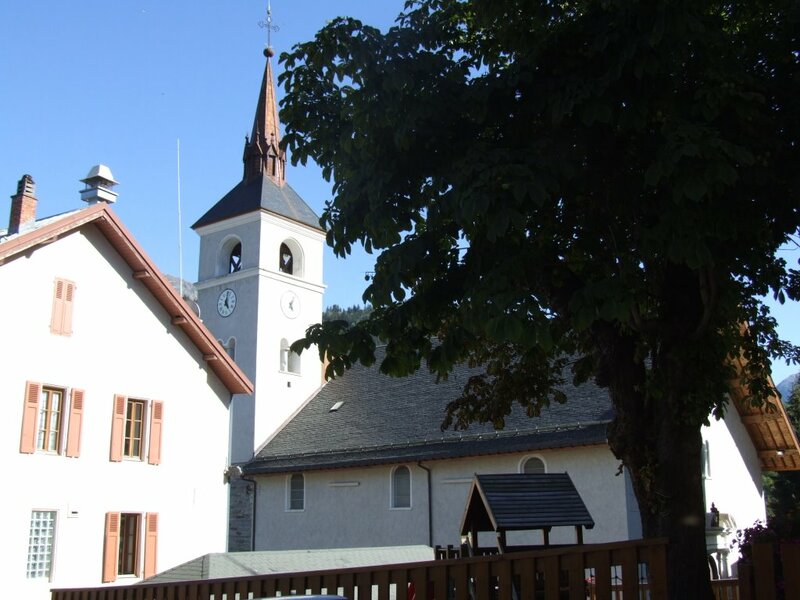 He was Bishop of Geneva but had to reside at Annecy because of the Calvininist persecution of the Catholics. The gentle and saintly bishop went round his diocese visiting and putting new heart into the Catholics. The Church of St Martin is a witness to the counter-reformation. The magnificant reredos was constructed in wood. The local people could not afford to furnish the Church in gold and silver so they gave of their skills to tremendous effect. Click on the photo to see a larger shot of this wonderful testimony of faith.